This volume studies the dynamics of iterated holomorphic mappings from a Riemann surface to itself, concentrating on the classical case of rational maps of the Riemann sphere. These lectures are intended to introduce some key ideas in the field, and to form a basis for further study. The reader is assumed to be familiar with the rudiments of complex variable theory and of two-dimensional differential geometry, as well as some basic topics from topology. This textbook will supply the wants of those students who, for reasons connected with examinations or otherwise, wish to have a knowledge of the elements of Elliptic Functions, not including the Theory of Transformations and the Theta Functions. 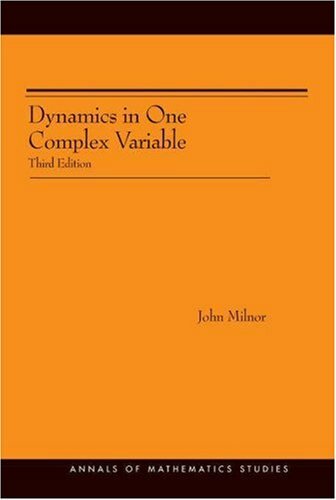 The textbook for an introductory course in complex analysis. It covers complex numbers and functions, integration, Cauchy's theorem, harmonic functions, Taylor and Laurent series, poles and residues, argument principle, and more. Several Complex Variables is a central area of mathematics with interactions with partial differential equations, algebraic geometry and differential geometry. This text emphasizes these interactions and concentrates on problems of current interest.